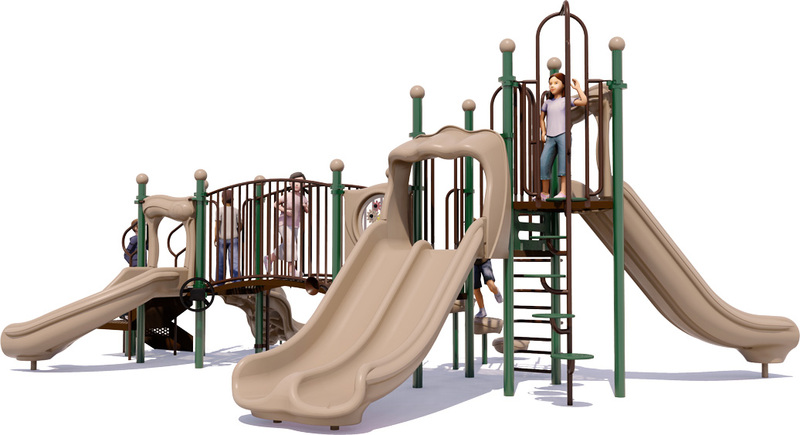 The Fantastic Voyage is an exciting commercial play structure with plenty of climbing and sliding opportunities to keep up to 35 children ages 5 to 12 years old entertained for a long period of time. It's an excellent choice for municipal parks and HOA community spaces. This playground features a good blend of healthy exercise-encouraging activities and cognitive development improving activities including imaginative play. The Apex Climbing attachment is one of our most common features because it is a moderate climbing challenge that helps develop both upper and lower body fitness, with easy hand and foot grip positions. The Button Climb and Spiral Step Climber both improve leg muscle development as kids make their way to the top. 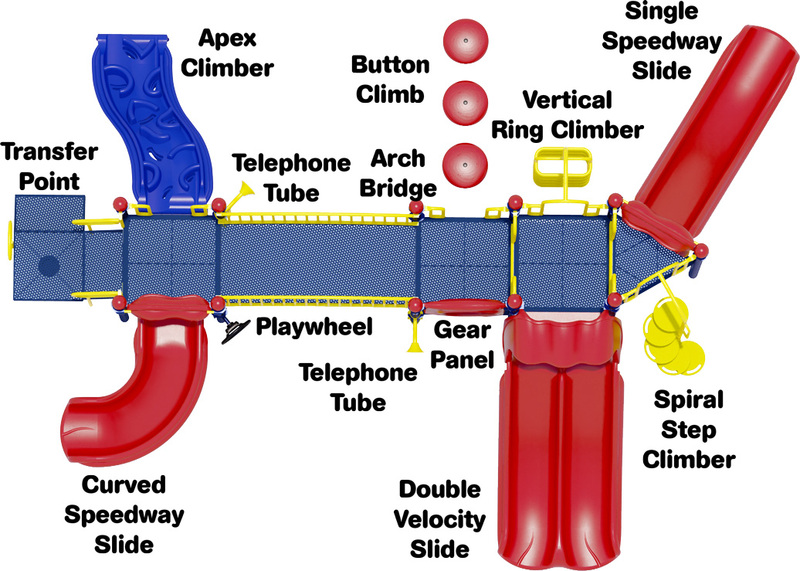 The Fantastic Voyage includes 3 different slide options for plenty of fun and entertainment. The Double Velocity Slide is great for kids who enjoy racing side-by-side to the bottom. The Curved Speedway slide is at a lower deck height and designed in such a way that parents can supervise younger children who love to slide. 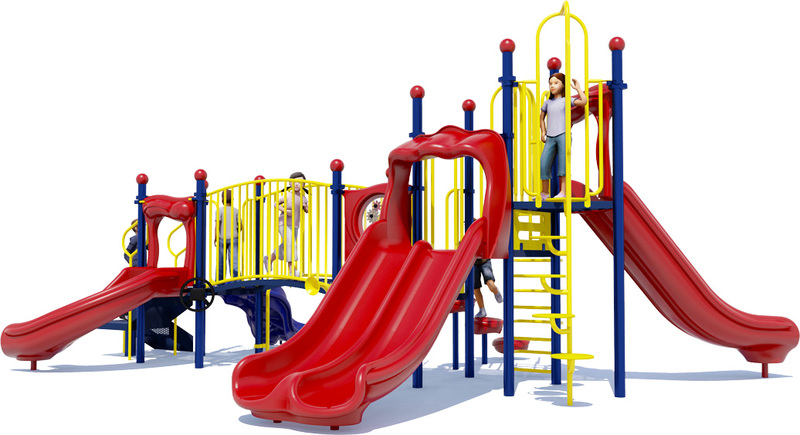 This play structure also comes with imagination inspiring activities to encourage childhood creativity and freedom. The Telephone Tubes are a great way to pretend or create imaginative play games. The Playwheel provides a similar opportunity, where kids can imagine going on their own fantastic voyage while navigating a great vehicle that is this playground. And the Gear Panel introduces children to mechanical behaviors with moving and interacting parts. Accommodates up to 35 children aged 5-12 years. An exciting Curved Speedway Slide. A Double Velocity Speedway Slide. A fun Apex Climber offers an alternative way to scale the structure. A Gear Panel for outdoor learning. Two Telephone Tubes, and a Playwheel for imaginative independent play. 15 year limited warranty on punched steel decks, and roto-molded and HDPE plastic components. 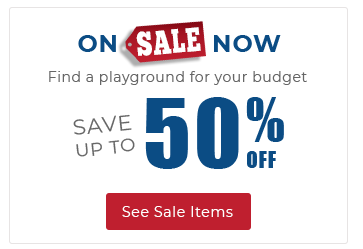 3 Slides, 4 Climbers, 2 Tele-Tubes, Playwheel, And More!